Hi what is the part number on your old battery ? Yes we ship to France. 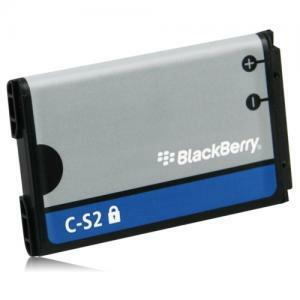 I am buying a battery for my BlackBerry 9300 , can you tell me if it is the right one. I am ordering anyway as BB is fading fast! Hi yes this is the correct one for phone. I have a blackberry curve with C-S2 battery , on the phone screen an icon appears of a drained battery and a red 'X' what is the problem with my phone.? Hi the battery is fault and need replacing. Hi yes they are 100% genuine. Hi yes this is the correct original battery for that phone. Hi yes this is the correct one. Hi, I have a blackberry curve but I don't know the model, on the battery it says C-S2, is this one right for my phone? Hi yes this is the same battery and will work with your phone. Is this battery suitable for a Blackberry curve 9300 ? Hi yes it is the correct battery. Hi just place the battery in the phone and charge it until the phone says it is fully charged. My Blackberry keeps freezing with a 'clock' symbol. Is this due to the battery or is there some other reason? Hi yes it may well be the battery freezing the phone up. My Blackberry Curve 8520 is over 5 years old. Not holding any charge at all now. Is this battery suitable for a phone of this age? 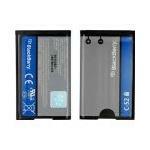 Have you got an original Blackberry Curve 8520 battery? Hi yes this is the correct original battery. Is this battery suitable for the blackberry 8520? Hi yes it is the correct one. Hi you need the F-S1 to replace it. 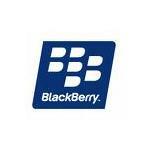 I need a battery for a BlackBerry 8520, How much is the post to Portugal, please? Thank you for your kind attention. Hi delivery charges are on the right hand side of the site. 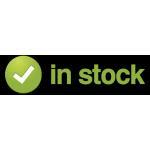 Hi just call us on 01564-777231 and order over the phone or order from our web site. Hi we would send it you out in the post. Hi yes that sounds like a faulty battery you should be getting well over 1 days usage out of it. A replacement battery should sort it out. hi the blackberry curve 9300 C-S2 battery is died and how long does it takes to charge on genuine charger. Hi it should take about 1 hour but it really depends on the battery. my battery last a day how long dose this battery last for? Hi battery life varys very much depending on what you are using the phone for and how many call you make and receive but this battery should last a lot longer than that. Hi what battery was in your phone before ? Good Value and Quick Delivery Thanks.